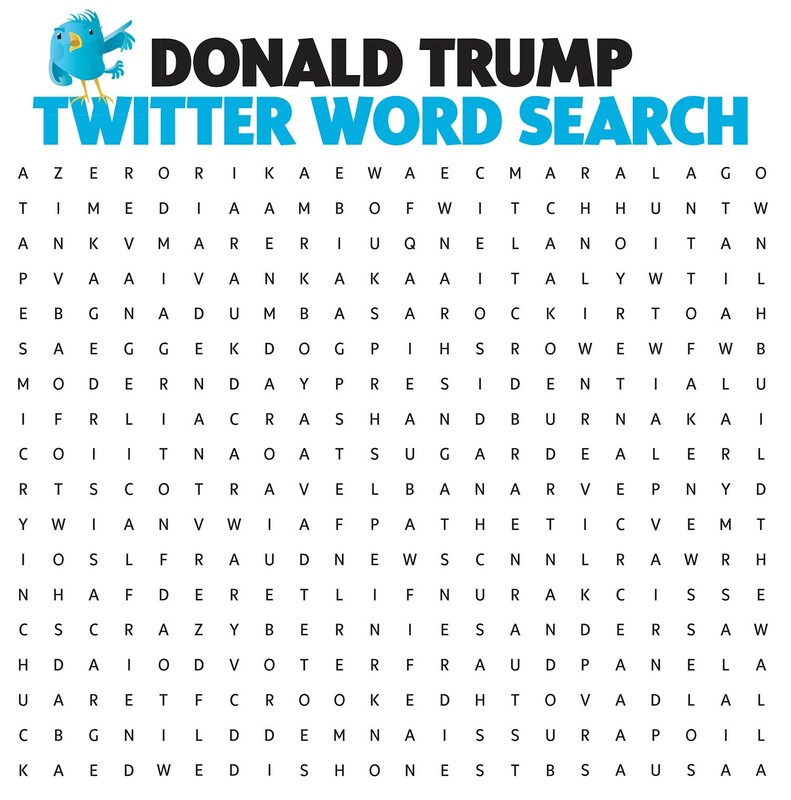 We hid 36 words and phrases the president tweeted in recent months. How many can you find? Tweet us a photo of your completed puzzle to @pghcitypaper, and we’ll randomly select two readers to get a City Paper T-shirt.